I don't know about you but I've read a lot of mediocre books this past winter. What's the deal!? I was practically drowning there for awhile. I thought I might be lost in the book funk forever. I know you know what I'm talking about. I was able to find a few hidden gems. These books are off the grid. You know, there isn't a lot of advertising thrown at them or virtually no hype. Books few people know about but that are fantastic. I feel proud that I found them. Makes me feel like a book snob, I kind of love it. I want to share them with YOU! This is a mix of different genre's so I hope you find something you can enjoy. Let me know what you think! My very first contemporary male point of view. Jameson took my virginity. Can I say that on here? *swoon* Lots of kissing here folks. I like kissing, a lot. I'm convinced that nobody writes a kissing scene better than author Jolene Perry. Night Sky was my beacon during a particularly long funk. Holy amazing YA contemporary Batman! YES! FINALLY! 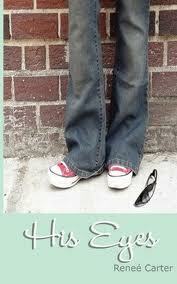 It is up there with The Summer I Turned Pretty by Jenny Han. Another male point of view. Please let this be the new trend, I'm obsessed. Sebastian is such a fun and cool character. I can't get his story out of my mind. Why is it off the grid? It's self published! That equals el cheapo for your wallet. It's been added to my all time favorites! I can't get enough! I want more. I've not really been enjoying too many paranormal's lately. Everything feels like it's been done. Beat a dead horse why don't you! 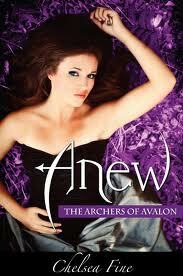 Anew is not like that. It is totally unique and surprising. Opening scene takes place at a kissing festival. Um, yes please! There are twin brothers here and a secret so big that I'm practically dying with anticipation for the next book. AH!! Middle grade book of awesomeness. Mermaids! Author Helen Dunmore is a seasoned writer and she has recently revived her Ingo series. The writing is so beautiful you literally feel transformed. She is the pied piper! I was in a trance. I'm not sure I've ever read anything so beautiful. This one is so hidden. Where are you?! 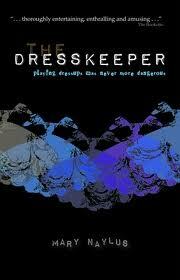 It's about a girl who finds a trunk full of old dresses. When she tries them on she is transported back in time! Holla! She's helping to solve a mystery, will it be too late? Awesome book! LOVED IT! It's a shame nobody knows about it. Found it on Amazon. It's short and to the point but I love it. About a blind boy and a girl who is asked to watch out for him over the summer. What will happen? 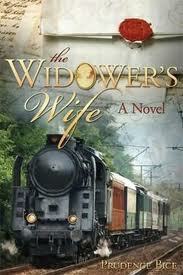 I want to find more novella's like this one to enjoy. I really liked it. Why do novella's not get enjoyed more? Cover is great! Story is fantastic! Kissing scenes are awesome! This one is on my favorites list. Can't help myself. Why is it a hidden gem? It is a Later-day Saint Christian novel. Specific niche, but oh so good! I was not expecting such an awesome book. I wasn't. I read it because a friend asked me to. 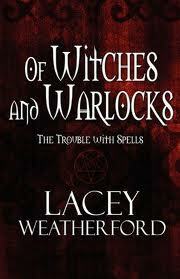 It has been awhile since there has been a good witch book. There is now a whole series, and people are in love with Vance and Portia. Lots of swoon worthy moments. Cool magic and loads of surprises. But, it's off the grid! Why don't people know about it?! I'm pretty sure it is self published. But don't quote me on that. I love this time period. I can't get enough of the wild west at the turn of the century. I can't I tell you! It's about a mail order bride. It was pretty awesome. I love me a good romance story. This one had all the right stuff. Lots of special moments that will get the butterflies in your stomach going. I usually like my stories all wrapped up nicely and everything is all perfect in the end. This isn't one of those stories. It's deeper. Brought up feelings I was sure were hidden deep inside. The mother in me wanted to love on Quinn until she couldn't stand it any longer. My heart actually hurt for her. If you want something a little deeper, then this is it. Why isn't it out there more? I'll never know. Yo, I know it's a Christmas book but this one was worth it. It wasn't all cheesy yule tide glee. There is mystery here, friendships, and fun! Romance too! Plus it is historical and I love to play dress up. Now grab some mulled wine and go to town on this book! Christmas in April! I'm so game. What books have you found that are off the grid? 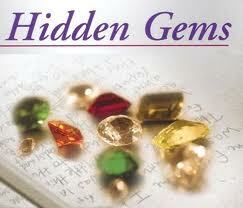 Any hidden gems we should know about? Awesome list. Thanks for the recs and for adding WHAT A BOY WANTS up there with so many good books. 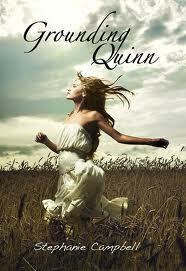 I've read and loved both Grounding Quinn and Night Sky. Incredible books. Need to check out the others too. I LOVED Night Sky by Jolene Perry! (My Review will be out in a couple of weeks).. I've also heard so much about What A Boy Wants! I might have to read it! 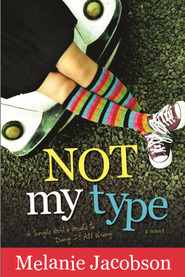 Not My Type looks just like it's my type *lol* !!! I really liked Loving Emily by Anne Pfeffer. Thanks for including Quinn on this list! :-) Agreed that Jolene writes one heck of a kissing scene!